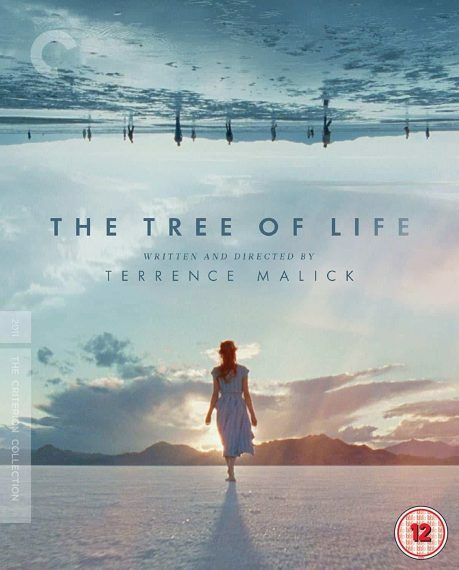 The Tree of Life is very much a culmination of Terrence Malick’s works. 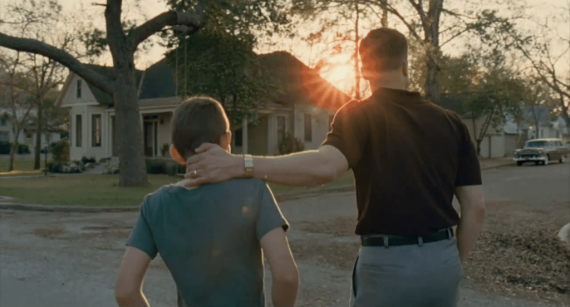 The most pure Malick Malick film if you will. And one you could easily call his masterpiece (except for the pesky fact that The Thin Red Line is quite possibly my favourite film). It is though, without doubt, a masterpiece. And a beautiful one at that. It’s at once his most personal, and most universal piece, focusing on a familiar, perhaps semi-autobiographical, tale of a Texas family in the ‘50s, but sprawling across space and time from the big bang to present day by way of dinosaurs and idealised childhood memories. 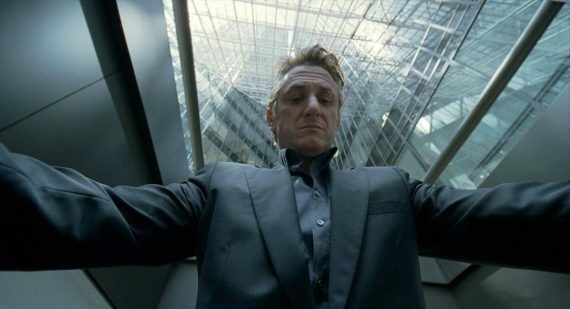 Malick (with help from cinematographer Emmanuel Lubezki, composer Alexandre Desplat and production designer Jack Fisk) utilises his signature style of swirling camera movements, magic-hour sunsets and poetic voiceover to capture this tale as told through Jack’s (Sean Penn’s) memories, dreams, idealised half remembrances or something in between all three. Jack is at some unnamed crisis in his life (my first thought on this watch was that perhaps his mother had just recently died). We see him apologising to his father on the phone for things he’s said, being distant with his partner, and generally looking rather forlorn. Whatever the cause of this crisis it seems to cause him to think back on the death of his brother, RL, and how his mother took the news, before drifting back further to a time when the three boys ‒ young Jack (Hunter McCracken), RL (Laramie Eppler) and Steve (Tye Sheridan) ‒ were growing up in a small Texan suburb. Their father, Mr O’Brien (Brad Pitt), is stern and serious, determined to provide for his family in a way that his more-mild-mannered father struggled to do, while their mother, Mrs O’Brien (Jessica Chastain) is loving and nurturing almost to perfection, at least through this dual filter of old Jack’s romanticised recollections and young Jack’s naive adoration. She says: “The only way to be happy is to love. 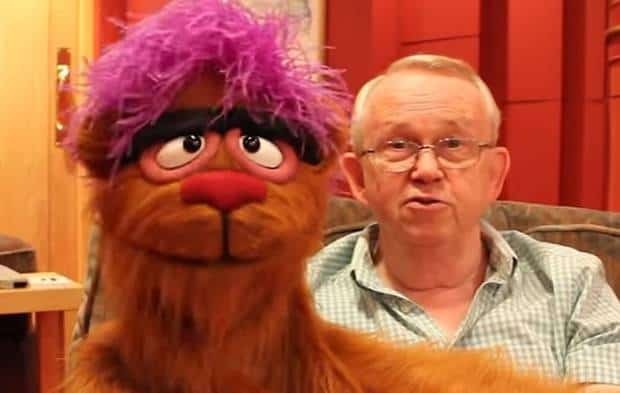 Unless you love, your life will flash by.” This, it seems, is a lesson learnt too late by Mr O’Brien, whose sons fear and hate him, and who says that he wanted to be loved for being a great man, and laments after RL’s death the way he chastised his son for the way he turned the pages during piano lessons. The Tree of Life and its characters ponder many questions about what life is and what makes us who we are, but offers few answers. The only certainty is that at the end there is death, and heartache for those you leave behind. So why do we do it? Why do we live? Why do we live when all it can offer us at the end is death and nothingness? How do we do it. How do we live? This is The Tree of Life’s answer (or Mrs OBrien’s). The only way to be happy, the only way to live, is to love. 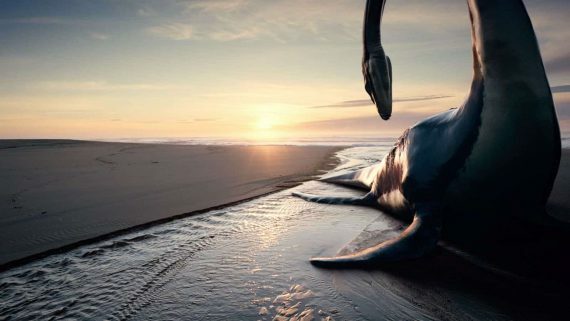 It may be a simple message that would seem trite in many hands, but this is Terrence Malick. The Tree of Life deals in macrocosm and microcosm of life. This may be Jack’s story, but it goes beyond him across the entirety of all existence. The things that connect everything and everyone, and all the things that make us unique. Through details familiar to the fimmaker himself he lets us into the beauty and wonder and grace he sees in the world, and that’s there for us all to see to. Connecting us, to him, to everything. As ever, this Criterion Collection release is loaded with great extras, most notably the new extended cut of the film with 50 additional minutes. Whereas the Director’s Cut of The New World was vastly improved with the extra time afforded, the theatrical cut of The Tree of Life is still the one to watch if you’ve never seen it, but what the three-hour version gives you on repeated viewings is more time spent with the boys in their small Texan world that helps drive home the film’s themes. And it’s a world well worth inhabiting through their eyes. The blue-eyed Jewish-Irish Mohican scout who died in your arms at the roulette table at Monte Carlo. Also occasionally reviews films.